Raise your hand if you're old enough remember the Nintendo Power free Dragon Warrior I giveaway in the early 90's. It was an incredible deal: purchase a subscription of Nintendo Power and they'll send you a free copy of Dragon Warrior I. I remember subscribing simply because this deal was too good to be true. Check out the Enix America memo, dated November 1990, announcing the promotion. According to a leaked memo that came across my desk, the creators of Canada's "first fraternity for gamers", www.tsilon.ca, are preparing to 1-up this Nintendo Power promotion. The promotion, which the leaked document says could roll-out in mid-February, will entitle all G-List members to one free video game with a retail value equal to or less than $60.00 CDN. The offer is valid for all current generation video game platforms including Xbox 360, PS3, Nintendo Wii, Nintendo 3DS, Nintendo DS, PS Vita, PSP, and PC. The memo states that any game on these platforms are eligible, with the exception of limited editions and collector's editions. Gaming accessories are also excluded. In the PDF of this memo I received, pieces of information were blacked out, including the names of the sender and receiver, the name(s) of the people who green lit this perk, and the exact location where this promotion will go live. 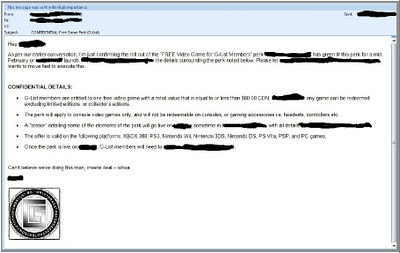 A request to a www.tsilon.ca rep to substantiate the contents of the memo was replied with confirmation of a "free game for any active member." Furthermore, I was told that 48-hour advance notice will be given before this promotion goes live. No information has been given as to what the "teaser" refers to, nor the process G-List members will need to follow to in order to redeem for their free game. Upon asking what happens if 1,000 new members join the G-List community, a rep from the site said it's for "every active member, no joke." I started doing the math on 5,000 and 10,000 new members and couldn't believe the potential cost of this promotion. In order to become a member of www.tsilon.ca, individuals must solve four locks that gate entry into the site. 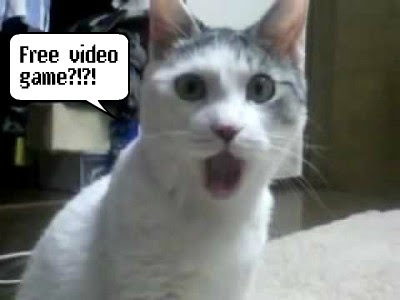 Once in the site, G-List status is obtained after "leveling up" to 10, which is done through solving video game trivia questions, answering daily trivia questions, or participating in video game challenges. 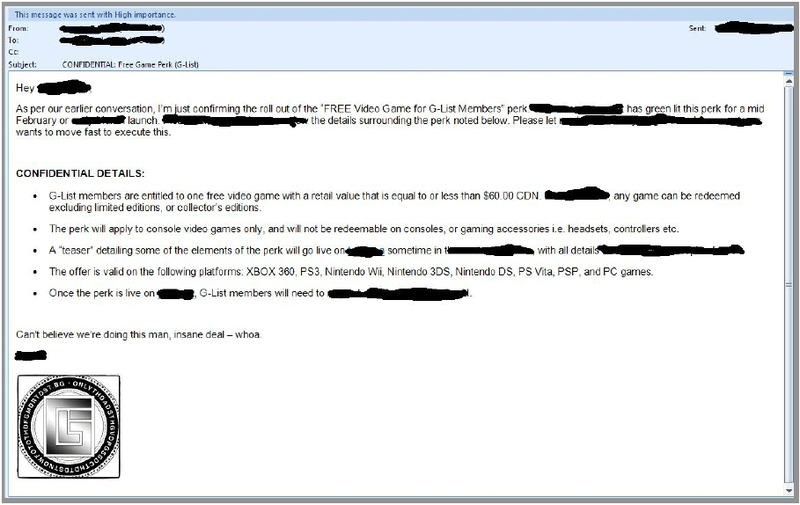 As noted in the leaked memo, G-List members will be eligible for the free video game. The Nintendo Power promotion is credited with attracting thousands of new subscribers to the monthly publication and helped launched the Dragon Warrior series in North America. According to Chris Kohler, author of Power Up, this promotion allowed Enix America to bring over the next three iterations of Dragon Warrior; moreover, Nintendo themselves profited immensely since the magazine was "essentially a 100-page monthly ad for Nintendo products". One has to wonder if this G-List promotion will attract as much attention? This is Insane! Great perks for those GList members. It's unbelievable. Unprecedented for a gaming community? I love the GLIST!!!!!!!!!! It's too legit to quit.